DISCOVER THE BEAUTY OF THE BLACK SEA COAST WITH THIS 8 DAYS / 7 NIGHTS TOUR. Arriving at Sofia Airport and transfer to the hotel. Check-in. Diner at a restaurant. Overnight in Sofia. After breakfast we are heading for a daily trip to the Rila Monastery - the most famous and fascinating monastery in Bulgaria, under the UNESCO protection. The entire complex is quite impressive for its size. The 4-floor residential part consists of no less than 300 monks’ cells, 4 chapels, an abbot’s room, a kitchen, a library and guestrooms for donors. The kitchen is particularly interesting for its really huge cooking vessels. The exterior of the monastery is no less intriguing for its high and severe stone walls (reaching 4 floors and even more at some places) cut through by small windows – reminding of a military fort rather than a monastery. Once in the complex, it is worth visiting the monastery’s museum, which hosts a unique work of art, namely The Raphael’s Cross. The cross is made of a whole piece of wood (81cm x 43cm) and is named after its creator. Return back to Sofia. Start of a hectic day that includes a visit of Plovdiv - the glorious second city of Bulgaria - for a slice of ancient Rome. The city lies on seven hills which are noticeable from quite a distance. The hills, as well as the old town of Plovdiv bring specific color and atmosphere to the town and shape up its unique view and nature. A contemporary of Troy and having survived Mycenae, Plovdiv is a city upon layers of cities and an epoch upon layers of epochs. Plovdiv is all in one: a Thracian and classical Greek polis, the pride of Philip of Macedonia, the capital of Thrace under the Roman Empire, a centre of Byzantinism, a stronghold of the Bulgarians, a dream of the crusaders - a magnificent, wealth and most important city. The most interesting landmark is The Old Town of Plovdiv Architecture Reserve which covers the Three-hill area. It is the original location of the town and almost all of the most interesting history-related sights are within it: cult, residential and public housings, archaeological monuments and museums, narrow cobble-paved streets. Continue to the Black Sea Area and spend the night in Bourgas. Drive to Nessebar - one of the oldest towns in Europe, well known for its impressing monuments from the Antiquity, fascinating architecture from the Middle Ages and the National Revival period. The town is situated on a small peninsula and on the land jutted out into the sea. 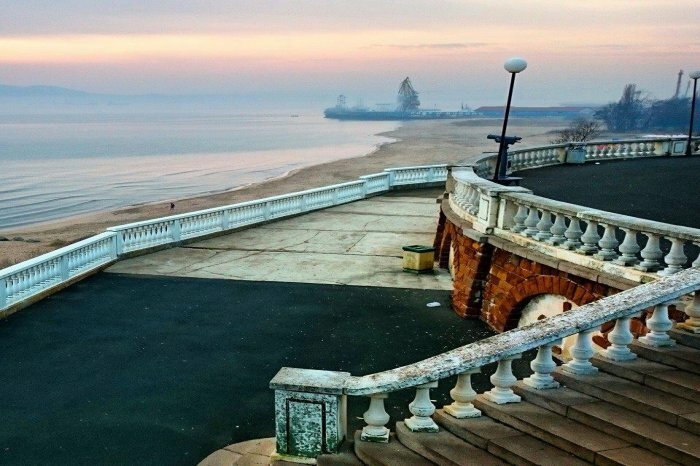 Its beach is considered to be the best along the Black Sea Coast. The churches of Nessebar are 41. Not all of them have preserved their full brilliance but even their present condition strongly impresses all visitors. One of the oldest sights is the Basilica situated on the sea-shore, built most probably at the beginning of 5th century. The Old Bishop`s Residence located in the centre of the town, is probably the most imposing one of all churches in Nessebar. The Old Town is part of the UNESCO World Heritage List. Continue for the maritime capital of Bulgaria – Varna. A scenic ride along the coastline of about 40 minutes will take you to the picturesque, romantic little town of Balchik. It is famous for the largest and richest Botanical Garden on the Balkans and the Palace of the Romanian queen Maria (1924). Enjoy that romantic place, have a walk in the Garden, have a sit in her stone throne, 'get lost' in the labyrinth, walk 'The Bridge of the sighs' and then wish something - it will become true! Return back to Varna for the overnight. 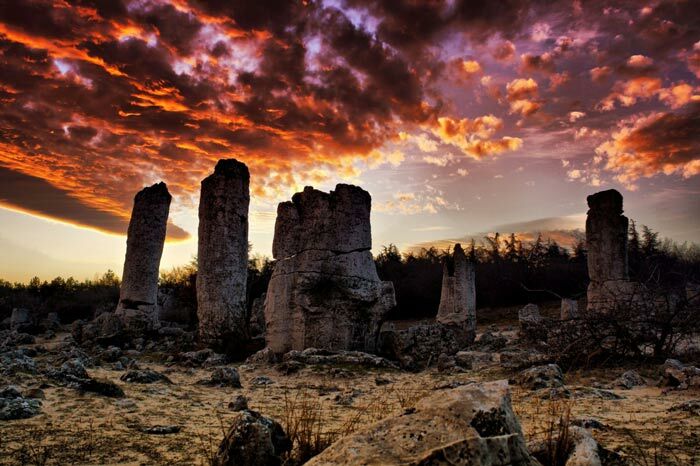 The tour starts with a visit of the natural phenomena The Stone Forest, located 20km west of Varna. It is an ensemble of numerous limestone pillars up to 10 m high, hollow or solid cylinders, truncated cones, variously shaped and sized rock blogs and stone pieces. The stones are clustered in seven large groups and several separate small areas. Continue to the village-museum of Arbanasi, famous for its beautifully painted Nativity Church. The day ends in another former Bulgarian capital, Veliko Tarnovo. The royal town of Veliko Tarnovo combines pageantry and picturesque views, with the medieval fortress of Tsarevets; the old Market Place and Samovodska Tcharshia Street among the exciting landmarks to see before you return to Sofia. In the afternoon arrival in Sofia and walking city tour including all landmarks in the historical centre. Free time. Transfer to the Airport. Departure.